Since 1899, the Dolder Grand in Zurich stands for hospitality. It was completely refurbished in 2008 – a city resort with fine dining, a unique art collection and an unrivaled spa. The Dolder Grand Hotel & Curhaus was built between 1897 and 1899 under the direction of the Basel architect Jacques Gros. On 10th of May 1899, the Dolder Grand Hotel & Curhaus opened, equipped with 220 beds, reading and billiards room, café-restaurant, verandas, terraces, two lifts, telephone and telegraph. In 1924, the hotel changed from seasonal to an all year opening venue. For the first time, major structural changes were made: The main building was extended by a staff wing and the main entrance was moved from the front to the back of the house. The main entrance area was replaced by a semicircular restaurant with large windows and an outdoor terrace – the “Rotonde”. The London based architects, combined the historic main building of the Dolder Grand Hotel of 1899 with modern architecture. 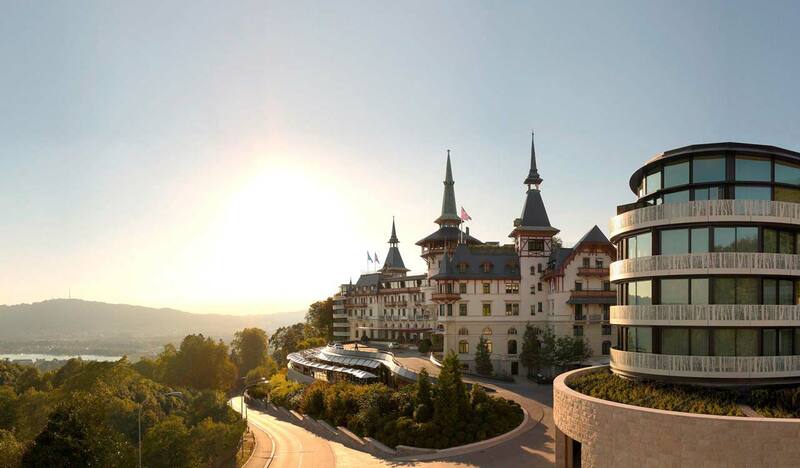 In April 2008, the Dolder Grand is reopened with 173 rooms and suites.